Download WriteIMEI that can be used to write or change IMEI on Spreadtrum CPU Android device. With WriteIMEI you can change your Spreadtrum IMEI only with a few clicks the process is pretty simple. And on this post I have managed to collect the available newest versions of the WriteIMEI for all Spreadtrum device users to download and then use to write IMEI for their needs. Credit should be given to the Spreadtrum inc, for providing this very handy tool. Flash single IMEI. This tool allows you to flash the single IMEI on Spreadtrum devices. To check your IMEI just dial *#06# be sure it's the same with the IMEI behind your device. Flash multiple IMEI. 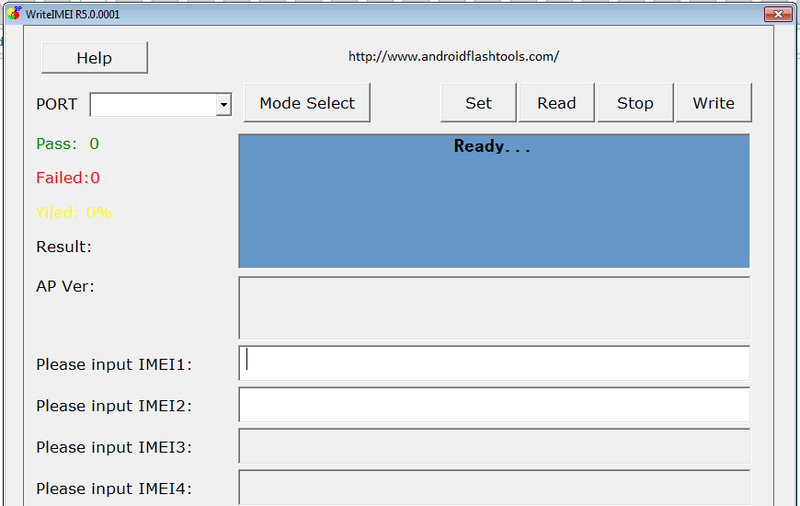 This tool allows you to flash multiple IMEI in just a few clicks. Just add the IMEI from the input area and then choose the mode to further click on write to start. Flash any IMEI you like. This tool can also give you an ability to flash any IMEI of your choice. However I must remind you that flashing IMEI that's not originally from your device is against the law. It's forbidden. If your device is MTK based, then head to the MTK IMEI Repair Tool (MTKDroidTool), oke guys ?